For more than forty years, the equation y'(t) = Ay(t) + u(t) in Banach spaces has been used as model for optimal control processes described by partial differential equations, in particular heat and diffusion processes. Many of the outstanding open problems, however, have remained open until recently, and some have never been solved. This book is a survey of all results know to the author, with emphasis on very recent results (1999 to date). The book is restricted to linear equations and two particular problems (the time optimal problem, the norm optimal problem) which results in a more focused and concrete treatment. As experience shows, results on linear equations are the basis for the treatment of their semilinear counterparts, and techniques for the time and norm optimal problems can often be generalized to more general cost functionals. 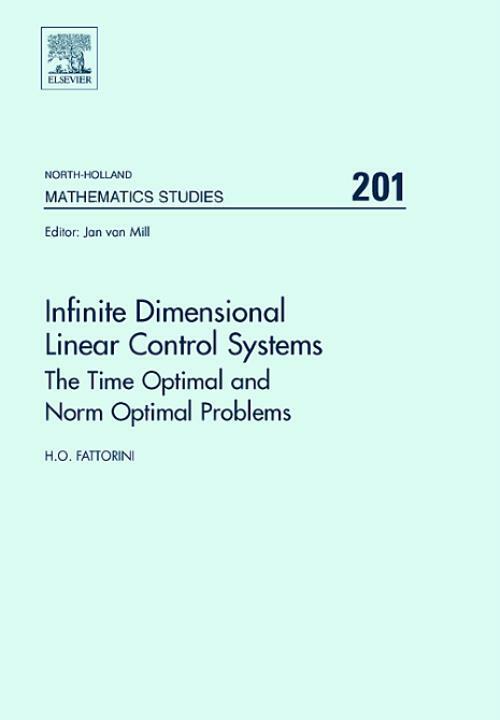 The main object of this book is to be a state-of-the-art monograph on the theory of the time and norm optimal controls for y'(t) = Ay(t) + u(t) that ends at the very latest frontier of research, with open problems and indications for future research. - Applications to optimal diffusion processes. - Applications to optimal heat propagation processes. - Includes the latest research on the subject. 1.1 Finite dimensional systems: the maximum principle. 1.2. Finite dimensional systems: existence and uniqueness.